Before detailing the history of the Cheltenham Gold Cup, let us tell you a thing or two about its rules and regulations. As its name suggests, this prestigious event is a part of the famous Cheltenham Festival, which takes place every year in March. Like the festival, the Cheltenham Gold Cup is also an annual event. This Grade 1 horse race takes place on the New Course of England’s Cheltenham Racecourse and is one of the major National Hunts venues in the country. In fact, this event is regarded as the most prominent among all National Hunts meetings taking place in Europe if not the world. The total distance covered during the said race is 5.331 m or 3 miles 2.5 furlongs. In addition, the participants need to jump over a total of 22 fences during the course of the race. To participate in this prestigious race, the horse must be five years of age or older. The Gold Cup is the topper even when it comes to its overall value; recently obtained numbers make it the most esteemed and valuable non-handicap chase to be taking place in the United Kingdom. The year 2014 saw the race have total prize money of £550,000. For a couple of years since 2014, the event got Betfred as its sponsor. However, the new initiative taken by Arena Racing and Jockey Club to not allow any bookmaker offer sponsorship brought an end to the association between the Gold Cup and Betfred. Betfred was replaced by internet service provider Timico as the sponsor of the Cheltenham Gold Cup. For those who don’t know, Tim Radford, Timico’s chief executive officer, owns several racing horses. What’s more, his collection of horses includes some of the most famous chasers like Racing Demon and Somersby. After taking over as the sponsor of the event, Timico increased the total prize money offered at the event by as much as £25,000. As a result, the 2016 edition of the race had a whopping prize money of £575,000. Another important incident took place during the Gold Cup when the 2015 edition of the race saw novice Coneygree win the race. This was the first time in four decades when a novice succeeded in standing on the winner’s podium. Read on to know more about the race’s history. The very first edition of the Cheltenham Gold Cup was held almost a couple of centuries ago, 1819 to be more precise. During those days, it used to be a flat horse race. The participants had to content by covering a distance of 3 miles along the Cleeve Hill. Here, it must be noted that the Cleeve Hill overlooks the current venue of the race. The first Gold Cup had Spectre as its winner; Mr Bodenham, the owner of Spectre was given 100 guineas for winning the race. The 1924 edition of the Gold Cup saw the race turn into a jump race. The winning racer was awarded with prize money of £685, which was quite a big amount during those days. The original venue of the event was Cheltenham’s Old Course. 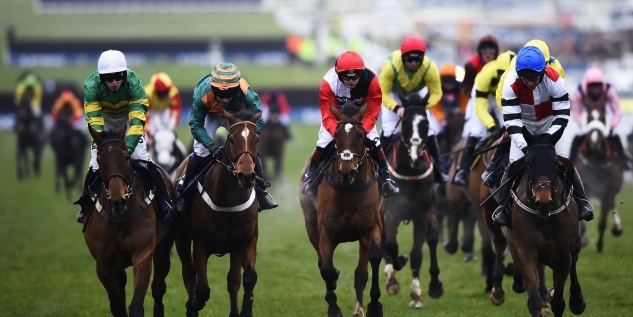 Although right now, this horse race is one of the biggest highlights of the festival, during the initial years, the Gold Cup used to get overshadowed by the more celebrated National Hunt Chase. What’s more, during those days, the total prize money offered at the Cheltenham Gold Cup was much less compared to the prize money offered by the famous County Handicap Huddle. The latter had prize money of £1,000. The 1930s saw the Gold Cup get abandoned twice. First, it was called off in 1931 due to heavy frost. Then again it got abandoned in 1937 due to flooding. However, it was the same decade that saw the event become one of the most loved and successful horse races in the history of the sport. Each edition of the Gold Cup between 1932 and 1936 had Golden Miller as its winner. Golden Miller was actually the ruler of the decade and also won the 1934 edition of another prestigious event called Grand National. The 1940s also witnessed cancellation of this amazing horse race. The event got called off during the consecutive years of 1943 and 44 due to the World War II. The first ever horse to win the race multiple times after the war was Vincent O’Brien’s Cottage Rake. Rake won all the three editions taking place between 1948 and 1950. O’Brien trained the horse in Ireland and it is believed that Rake’s success helped in popularizing the race and the festival to the Irish people. In 1959, the race got shifted to the much talked about New Course, which is still the venue of the event. The 1960s were definitely the decade of Arkie. The horse managed to win three consecutive editions of the race between 1964 and 1966. People used to be so confident about Arkie’s win that the year 1966 saw him get 1/10 as starting price. That record of Arkie is yet to be broken. The year 1972 saw the race have a commercial sponsorship for the first time. It was sponsored by the famous brand Piper Champagne. Piper Champagne remained Gold Cup’s sponsor till 1979 and was replaced by Tote (or Totesport) in the year 1980. Another notable year in the history of the Cheltenham Gold Cup is 1983. It was the year of trainer Michael Dickinson. Each of the five horses to achieve the first five positions in 1983’s race was trained by Dickinson. The five horses were Ashley House, Silver Buck, Wayward Lad, Captain John, and Bregawn. No other trainer to date has managed to match this incredible feat of Dickinson. The only time when the Gold Cup was cancelled during the recent years was in 2001 when the entire festival got abandoned due to a certain epidemic. However, the year also saw a replacement event called the Gold Trophy Chase take place. That replacement was held in Sandown sometime in April 2001. However, experts said that the Gold Trophy Race was nowhere near the Cheltenham Gold Cup as far as its performance level was concerned.